Givings Day – that’s what Jemma calls Thanksgiving. It’s the sweetest and so, I don’t dare correct her. 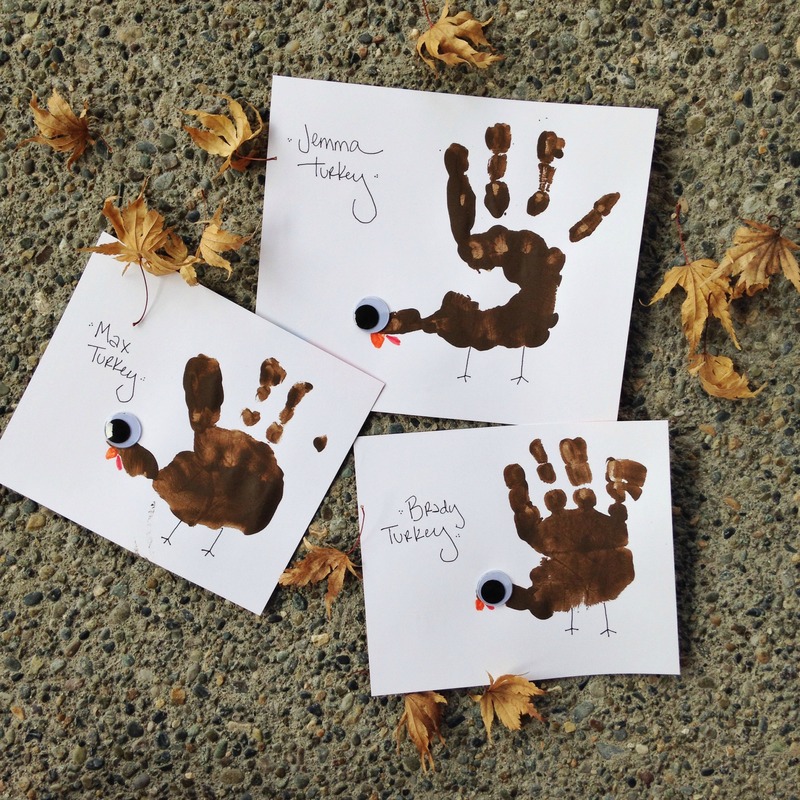 AND, what cute little turkeys ^^^ – Jem asks to make handprint art ALL THE TIME. And well, giant-eyed turkeys were obviously a fitting choice. Anyways, this blog is officially closed for Thanksgiving :) So, go to Target (or don’t), eat your turkey (or lobster ravioli with alfredo if you’re me! ), and if you really need something to read you can find my super simple DIY Thanksgiving Name Plates over at Baby Gizmo! They didn’t take long and you could even handwrite them before you all sit down to eat. What can I say, Fall walks and interviewing kids are two of my favorite things! Happy Thanksgiving! I’m thankful for you! Really! these little cards are the cutest!